Together, we’re shaping the future of the industry. Be a part of a better industry and a better world. Be a member of the Plastics Industry Association. Sustainable plastic manufacturing conducts business in a way that seeks to drive value creation for society, the environment, and the industry. It also strives for improvement to reduce impacts on natural resources, minimizing waste generation, and shifting toward renewable energy options. 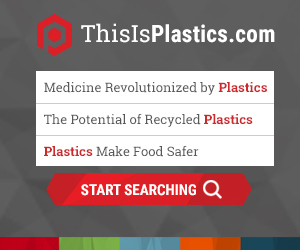 Find articles, infographics and interactive quizzes to help your family, friends neighbors and the world understand the importance of plastics. It is part of our mission to represent and serve as the voice of the plastics industry across all levels of government to influence public policy. Learn more about our grassroots mobilization efforts, responses to proposed tariffs and how your company can get involved. From global trade shows like NPE® to fall and spring niche market conferences hosted by Plastics Industry Association groups, the leading experts assemble at PLASTICS events to learn, network and advance their company’s interests. Since 1937, we’ve been providing education and advocacy to our members. Our committees and events bring the boldest and brightest innovators, influencers and new technology together to create connections and showcase our industry. Didn’t find what you were looking for or still have a question? We’re here to help.